Replacement Center Pin to convert the top feed Zenith to bottom feed coming soon! The Zenith by Crescent Moon Innovations! With a 22mm well, you can build massive coils, packed with wick. The Zenith features slot cut posts with an upgraded post design making it even more robust. The negative posts are machined solid as one peice with the deck of the well, so they will not come loose. The Center post uses a high grade, high temp insulator. The center pin is copper and adjustable. A brass ring around the body of the top cap finishes off the design, which slides allowing you to adjust the airflow to your choosing. 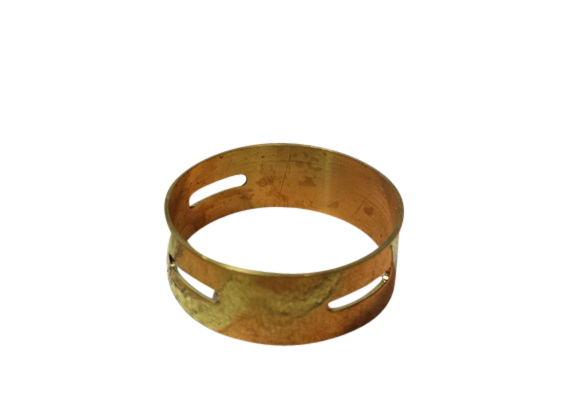 Brass AFC Ring (Additional Colors Available). 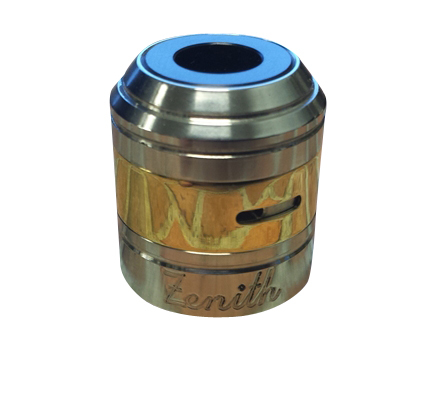 Delrin insert in top cap helps to insulate your drip tip from the heat of your coil. 22mm wide deck with deep drip well. Wide holes in positive and negative wire posts make it easy to use any resistance wire. Wider slit holes at Air Flow Control opening. CMII Logo and Serial Number Engraved.